Instructions are provided for constructing a terrarium. The analogy between the terrarium and Earth is also provided. 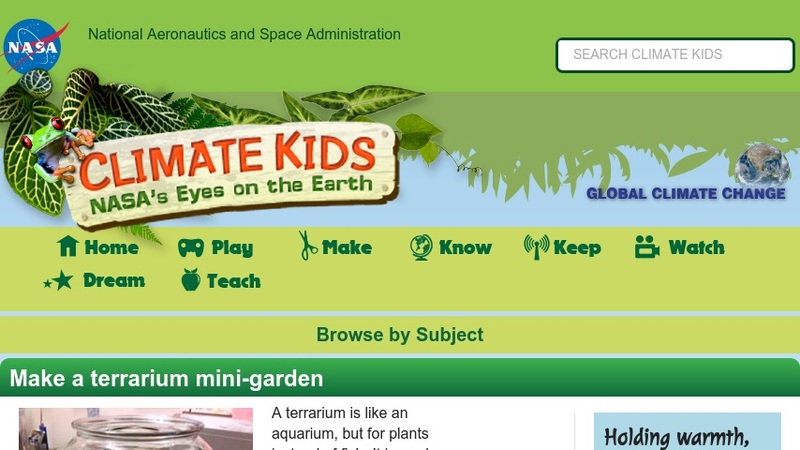 This activity is part of the Climate Kids website, a NASA education resource featuring articles, videos, images and games focused on the science of climate change.